Make these fabulous and easy DIY farmhouse signs from wood (and not only). These are the best tutorials that will help you out. 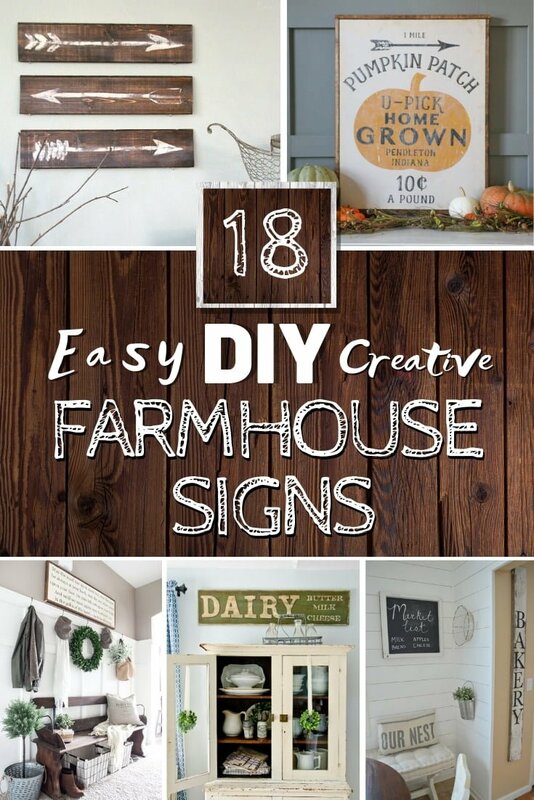 If you want to make a warm decor accent that everyone will go crazy about, it’s the DIY farmhouse sign you need to think about. Farmhouse style is all the rage these days, and it continues to make its way to the everyday home decor. It’s so popular that farmhouse crafts are in the trends of Holiday decor. So why not try making one of your own? Here are 18 easy and fabulous tutorials to help you out. 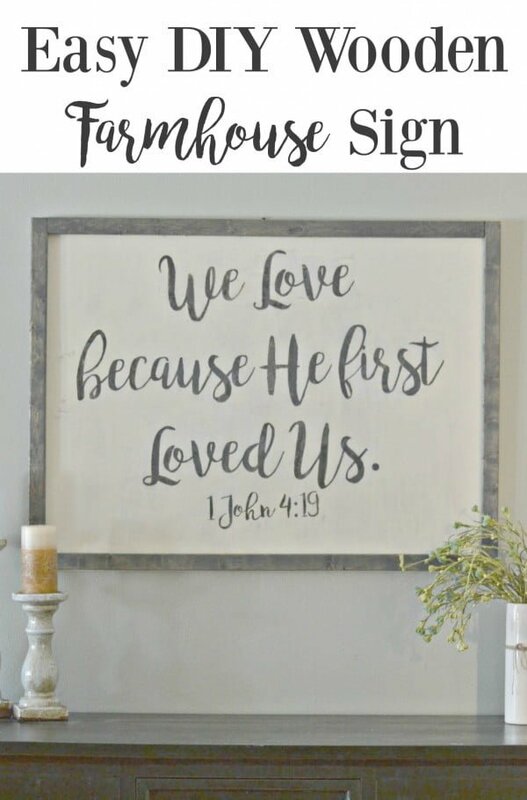 Add other embellishments to your new farmhouse sign. To get into more depth of each step, check out one or more of the following tutorials. Let’s start simple with a hand-painted wood sign and a distressed look. This is the most typical farmhouse style sign that’s perfect for quickly adding a lot of character to your kitchen decor. A framed wooden sign is easy to make because it’s all just a matter of transferring words onto wood. Choose a message that means something important to you and decorate your home with it. The farmers market sign has a lot of character, and it will find its rightful place in your kitchen decor. You may spend a while making it, but it’s all worth it. Vintage or antique design elements are important in farmhouse style so making a sign like this is guaranteed to make your home cozier. Check out this tutorial that shows you how to do it. A farmhouse sign can have a more significant impact on your decor if it includes images. So here’s how you can transfer them onto wood. 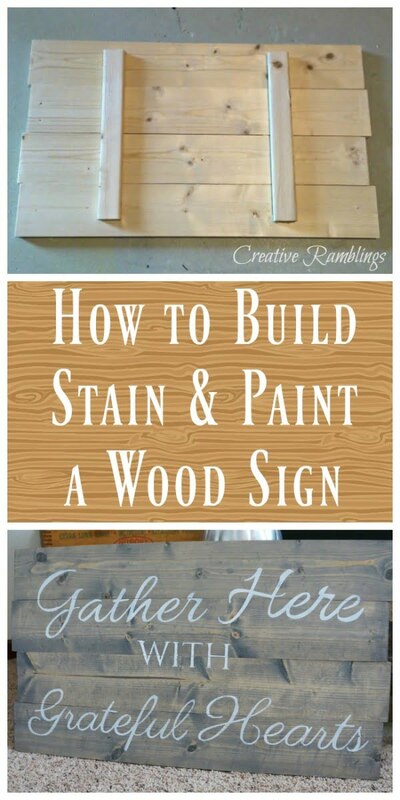 You can always start small and make smaller farmhouse signs of experimenting with your decor. Try single words or even monograms and try different ways to get the rustic distressed wood look. This tutorial shows you how to make a sign of an old Irish blessing, and it’s a great example of how even such a long quote can work. The text adds texture to room decor, and it anchors other farmhouse style accents well. If you’re unsure about the kind of materials you should use for your sign, try pallet wood. It’s the go-to material for many rustic and farmhouse style decor accents; it will do well for a simple pallet art sign too. Here’s another excellent example of how experimenting with different materials can yield fantastic results. This sign is made of a part of an old door, and it has a lot of character. A real vintage farmhouse sign for your kitchen that will undoubtedly add a lot of charm to your decor. Check out how to make it. 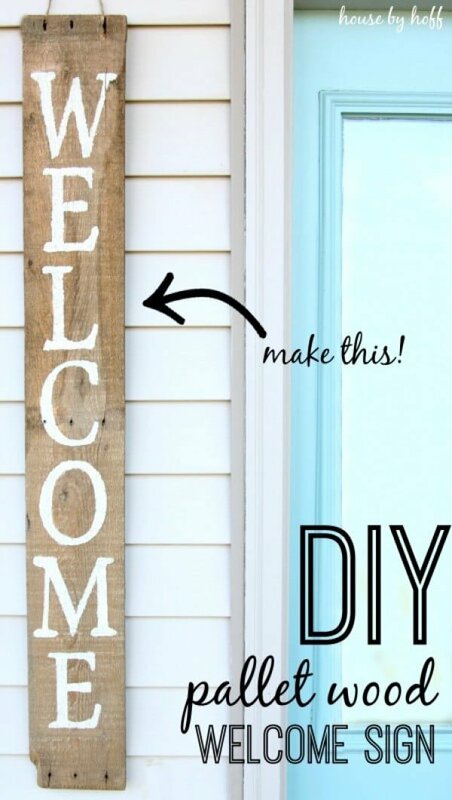 A simple welcome sign made from pallet wood will greet your guests and set the expectations for cozy farmhouse decor to be found inside. It’s beautiful how such a simple project can have such a high impact. Here’s what some pallet wood, some paint and a lot of creativity can do to your decor Try this idea for a vintage sign as your kitchen backsplash. Home is where the heart is, says this lovely rustic sign and you can be sure it makes the room the coziest place on earth. Add this heartwarming decor accent to your home decor. And here’s how you can make a very simple yet powerful home decor accent – a home sign. It has all of the attributes of excellent farmhouse style design and is sure to be that focal point which brings your entire decor together. 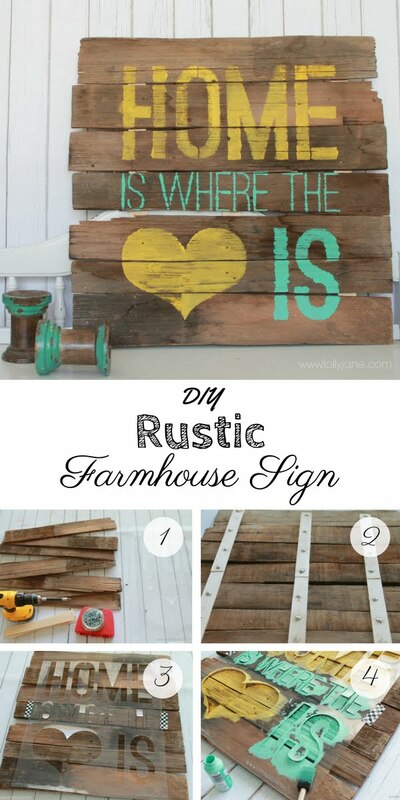 For when you need that warm quality of stained wood in your decor, build this farmhouse sign. This version uses vinyl decals to create the word art. Even as the fall season comes and goes, this idea for a sign stands on solid grounds as it helps to build that much-needed character in your home decor. Don’t be afraid to experiment. If you’re still not convinced, your home decor needs a farmhouse style sign to consider this straightforward vintage sign that you can make from salvaged wood. Character comes from small details, and this can be the quickest and easiest way to add some of it to your decor by far.